Adoptive mom Jaime Butler has helped many families find additional information on their child through her instructions on how to search using Chinese search engines. This information could be pictures from an event at their orphanage or a news article about their finding. Jaime has allowed me to post her instructions here. I have added screenshots to help you through the process. If you don’t have Google Chrome, download it. It is easier to use Google Chrome, because it has an option to translate everything for you, to English. Open a tab on Chrome with Google Translate in it. Search for either Baidu or Soso (now merged with Sogou). Both are Chinese search engines. There are a few other search engines that you can use too, but those are the two that I have had the best luck with. After searching for Baidu or Sogou, click on it, to open it in that tab. 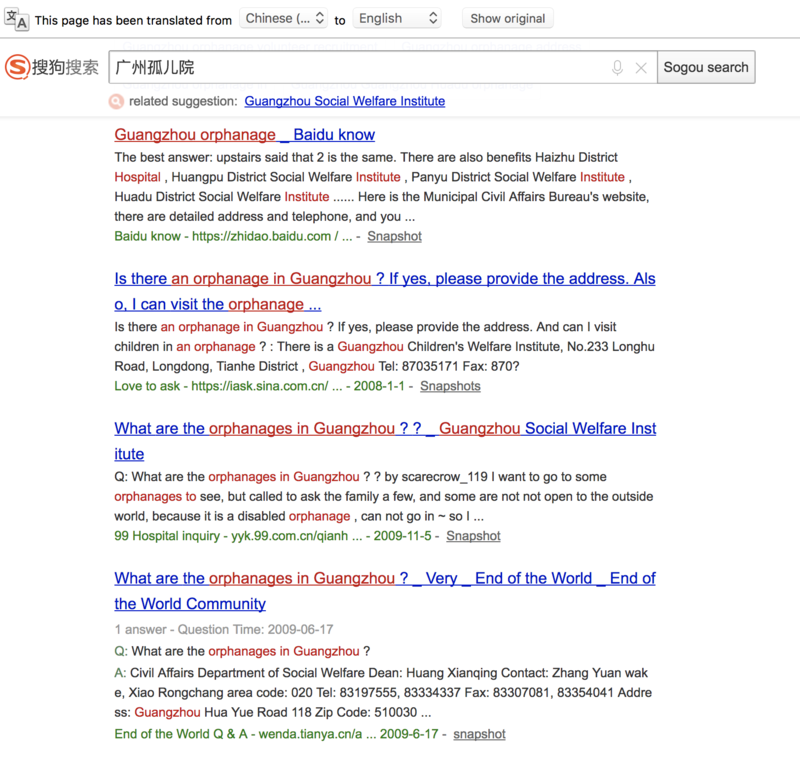 In Google translate, type what you want to search for and translate it to Chinese characters. Copy and paste these characters into the search bar in the Chinese search engine. At the top of the screen, it will most likely ask if you want the page translated, and it will also sometimes ask if you want to always translate. Once you have searched using Chinese characters, it will look similar to a google search, and you can choose to look at images, news articles, etc. I often will click on images or pictures. I then will scroll through the pictures and click on ones that look like they may be related. You can also scroll through the news or web or other options. The two I have had the best luck with are Images, and news. Usually I will start out by right clicking on about 10 articles at a time and opening them in a new tab, so that they can load while I start looking at some of them, and so I don’t “lose” my search that I just did, and I can go back to it after I look at those 10, and open 10 more. With baidu, you will then have to click on the picture again, to be brought to the new story. With soso, you have to click again, but I don’t remember where you click. Again, if you haven’t set it up to auto-translate, you will have to click on translate at the top of the page. There is usually a date at the top of the article, so you can tell right away if it is even close to the range that you are looking for. Then if it is, you can look for key things like where the article is from, etc. Things that I usually will translate and search for are: Gender, age at finding, birthday, finding day, specific finding spot, name in Chinese characters, city, province, SWI, and any other facts that would make your child stand out compared to another. I will often only put one or two facts into the translator at once, and then combine them in the search bar. I also will often only search for one or two facts about my child at once. 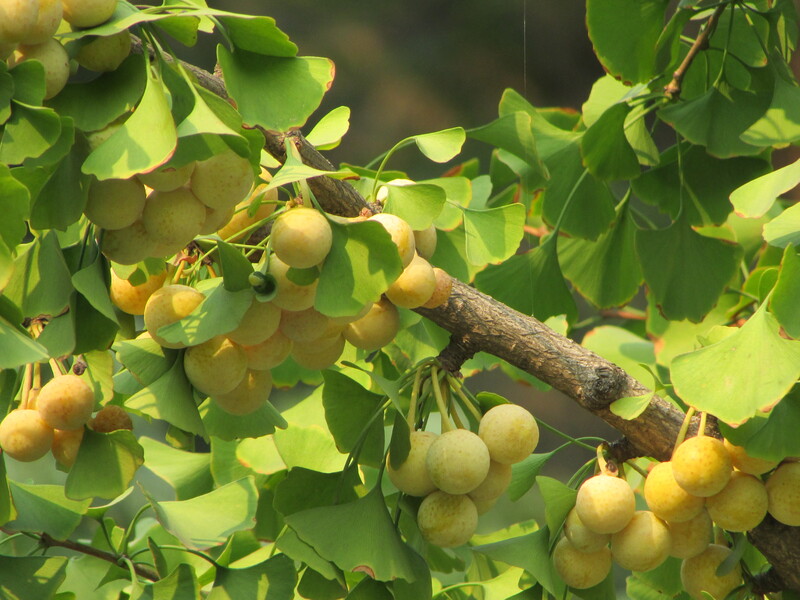 For example, Nanchang baby cleft. I try many different combinations of the facts that I have. When using Google translate you can hover over the Chinese translation, and it will let you see the translation of each character or group of characters. You can then choose other ones. Try them all. Don’t get discouraged if you don’t find something right away. It took me two months of searching before I finally found anything about my son. Here are some key words that I use in my searches: newborn, baby, child, specific city that the child is from, province the child is from, cleft or other special need, abandoned, found, left, foundling, orphanage, social welfare institute, near, boy, girl, and again anything different that would make your child’s situation stand out. This entry was posted in Uncategorized and tagged Adoption Resources, Post adoption info on January 9, 2018 by minefam. You’ve been dreaming of bringing your child home for months, but those early days and weeks together are often very challenging. Your friends and family keep asking you how things are going. Somehow, admitting that your child hasn’t transitioned seamlessly into your family can feel like defeat. It is very common for families to be asking themselves “Did we just make the biggest mistake of our lives?” Here are some ways to prepare for and cope with early problems. These are all things which you hopefully learned during your required adoption education, but it can be difficult to remember when you’re in the thick of it. *Expect your child to have more medical issues than their file indicated. Children often have minor medical diagnoses that aren’t reported, extreme dental decay, or issues which are incidental to their special need such as difficulty eating for a child with an open cleft palate. Make sure you have educated yourself about your child’s special need, are in contact with other parents who have adopted a child with the same special need for support, and have a way to contact a medical professional while you are in China in case you need a consult. *Be prepared for your child to be immature for his age. A general rule would be to expect your child to act half of their legal age. Expect your 3 year old to act like an 18 month old or an 8 year old like a 4 year old. If you have biological children, avoid comparing your new child’s development to your children at the same age. Let him develop in his own time, and only compare him to himself. My 5 year old is so behind verbally, but when I look at his progress over the past three years I can see that he has consistently made slow and steady progress. *Have a plan for aggressive behaviors towards yourself or other children in your home. I think the biggest thing for people who bring home a new child with other children in the home is that we are hardwired to be very protective of the other children. If your new child pushes your toddler down the stairs, Mama bears says “That kid needs to be gone NOW!” Have a plan in mind for mild to moderate aggression, like biting, kicking, or shoving, towards your other children. Be prepared for an extended time period of jealousy or conflict between your newly adopted child and another child in your home, especially if they are close in age. They might be thick as thieves, but be prepared for the worst case scenario. Even if your child is not physically aggressive, they can still have very challenging behavior. Defiance and testing boundaries are completely normal. This behavior can be because your child is trying to exert control at a time when she has no control over her life or an attempt to push you away. A child who has lost all of his previously caregivers will have any idea you will be permanent. Unconsciously, he feels it’s better to chase you away to get the inevitable abandonment over sooner rather than later when he feels attached to you. *Finally, what wears people down is an extended period of high stress. Have a support system in place. Now is the time to lean on others who offer to help with food, cleaning, transporting children to activities, or whatever makes life easier. Do not hesitate to avoid seeing or talking to people who are causing you stress. This is a time when emotions are running high all around. You can smooth over family relationships once things are more settled at home. Your social worker is one of your best resources. Don’t wait too long to call her up to ask for suggestions. Don’t neglect yourself during this time where you are focused on your new child, her behaviors or medical issues. Stay on top of self care. Don’t say “We have to cocoon” when you really need to get out of the house or lose your sanity. Keep an eye out for depression and address it as soon as possible. Marital conflict is common, too. Don’t be afraid to have a few counseling sessions. If you are in country or newly home, please try not to panic about these things. You are not alone. These are normal and expected, but that does not make it easy. Get some help, make a plan, and keep putting one foot in front of the other. Things will look very different six months from now and even more different a year from now. This entry was posted in Uncategorized and tagged Adoption Resources, Post adoption info on May 24, 2017 by minefam. Following up on the post placement reports post, this post is an overview of all of the documents you will receive after the adoption and how to obtain important US documents. This post was co-written with my friend Judy, who wrote up the original version available in the China Adoption Questions group. 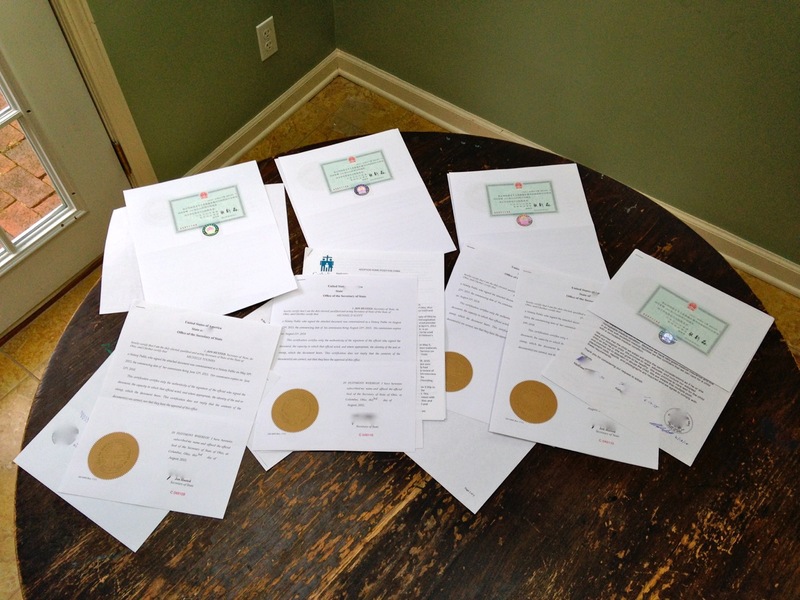 You will often receive multiple copies of the birth certificate and abandonment decree. They are sometimes marked with an A and B on the front to make it easier for you to know which is which since the white folders are identical on the outside. 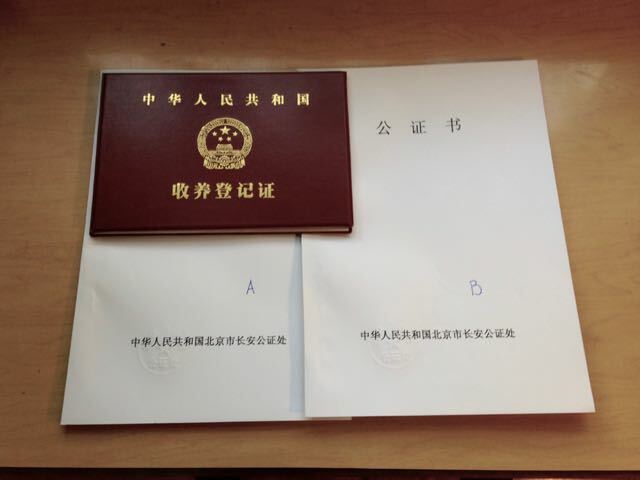 You will also receive your child’s Chinese passport in their Chinese name, usually on your last day in province, although sometimes it will be forwarded to you in Guangzhou. After the medical in Guangzhou, a US immigration entry visa will be added to the Chinese passport. 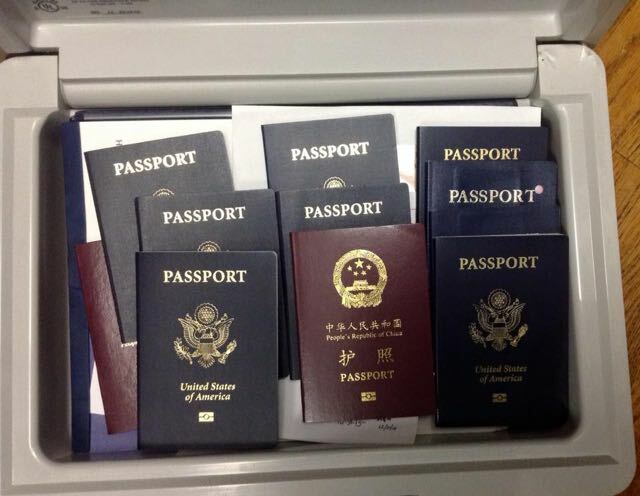 Consider the Chinese passport a single use passport only. It can not be used again once the child has passed through immigration onto US soil. However, keep the passport in a safe place when you get home, more on that later. On your way home, before you get on the plane, you will receive a sealed brown folder. Do not lose it, do not open it. Put it in your carry on and hand it to the immigration officer at your port of entry. It contains copies of all the USCIS paperwork and copies of the birth certificate, abandonment decree and adoption decree. You can receive these documents back at a later date if you file form G-884, Request For Return of Original Documents. 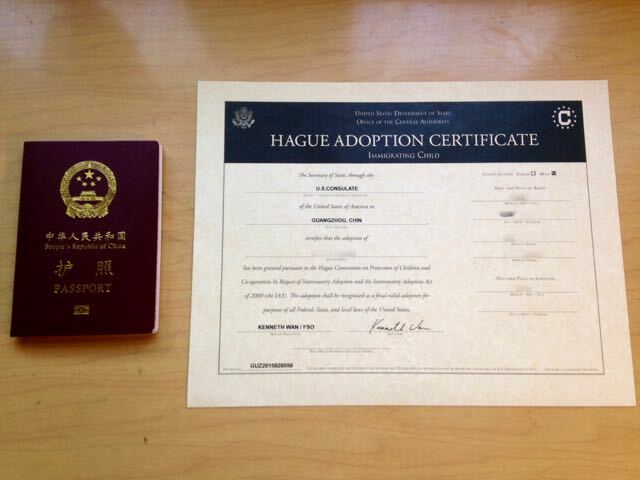 You will also receive a Hague Adoption Certificate. This certifies that your adoption has been completed in accordance with the Hague convention governing adoption. After you return home, you MAY receive a social security card with your child’s Chinese name on it in the mail about 2 weeks after arriving home. Do not be alarmed if you do not receive one, even if you checked the magic box on your paperwork. The arrival of the social security card is entirely dependent on factors outside of any rational understanding and the mystery, like adoption gremlins, is something best accepted as part of the wonders of adoption. If you receive a social security card (with the Chinese name on it) in the mail, feel blessed and use it in good faith. This is your child’s social security number and will never change. You will sit tight until the Certificate of Citizenship (CoC) arrives. If you DON’T receive a social security card in the mail in a couple of weeks, again, do not be alarmed. You can sit tight and wait for the Certificate of Citizenship to arrive or if you need a social security number right away, you can go to your local Social Security office to get a card in the Chinese name. It’s your choice, based on your medical insurance and tax needs. If you go to the Social Security office before the Certificate of Citizenship arrives, take with you the Chinese birth certificate, adoption decree, child’s Chinese passport, and your ID. The Chinese passport can serve as a second proof of the child’s birthdate and theoretically the IR-4/IH-4 visa will serve as proof of citizenship. 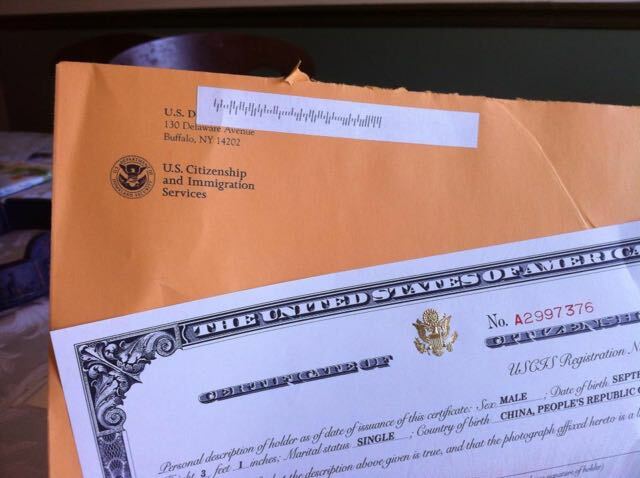 If you do this, you will need to make a second trip after the Certificate of Citizenship arrives to change the name and register your child as an American citizen if they don’t accept the IR-3/IH-3 visa. Chinese birth certificate, adoption decree, Certificate of Citizenship, and your ID. You don’t need to take your child, although some offices will tell you otherwise. You also only need one parent to go. It is not uncommon for the person at the Social Security office to have no idea what they are doing. Print off the criteria from the Social Security website to show the person if they object to your documents. Ask to speak with a manager if you continue to have problems. Your Certificate of Citizenship will arrive 6 – 12 weeks after you arrive home. Keep it on your radar – they can get lost in the mail, and I understand now someone needs to sign for it, so keep an eye out for missed delivery slips. You may also call 1-800-375-5283. You have to provide them with your reference number (listed on the child’s passport) and other simple identifying info. However, they will probably simply say that they are behind on processing so you should continue to wait. If you need the Certificate of Citizenship sooner, don’t hesitate to get your Congressperson or Senator involved. That’s their job, to help constituents navigate government officialdom. If you have lost your child’s Certificate of Citizenship, form N-565 and $555 will get you a new copy. Note: When I did an image search for Certificate of Citizenship there were many images of actual CoCs from adoptive parent blogs including birthdates and addresses clearly visible. I know this sounds obvious, but do not post photos of your child’s legal documents online without covering personal information. Once you get the Certificate of Citizenship, you will need to get a US birth certificate or equivalent (which in most states is called a Delayed Registration of Foreign Birth or Foreign Birth Registration). Whatever it is called in your state, you will want to get this. In case of loss or damage, it’s a lot easier and faster to replace the US birth certificate than it is to replace the Chinese birth certificate. Also, you’ll get less hassle when you go to register your child for school or he/she applies for a driver’s license or college or job or any other circumstance where a birth certificate is required. Just trust me on this. Every state has different rules about getting the US birth certificate, some states it’s as easy as submitting a form, some document copies, and a check for $25 to juvenile court, and some states require you to re-adopt. You will need to look up your state’s rules, or check with your homestudy social worker for more details. Childwelfare.gov has a listing of state statutes, but it is from 2014 so it might be outdated. At some point, you will want to get a US passport for your child. This serves as an important additional proof of citizenship. Passports are more portable than the Certificate of Citizenship and far cheaper to replace. Information on obtaining a passport is found on this State Department page on the US Child Citizenship Act of 2000. Note that you will have to send original documents when you file for a passport. This includes your child’s Chinese birth certificate and Certificate of Citizenship. If you need the passport before you receive your child’s Certificate of Citizenship you can send your child’s Chinese passport because the the IR-4/IH-4 visa serves as proof of citizenship. The documents you send will be mailed back separately from the passport. You will typically receive them 1 to 7 days after the passport, so don’t panic when only the passport shows up in your mailbox. Upon your child’s first application for a tourist visa for a visit back to China, you will need to send both your child’s US passport AND your child’s Chinese passport. You will receive both back. When the embassy affixes the Chinese tourist visa to your child’s US passport, they will also stamp and puncture the Chinese passport to nullify it. 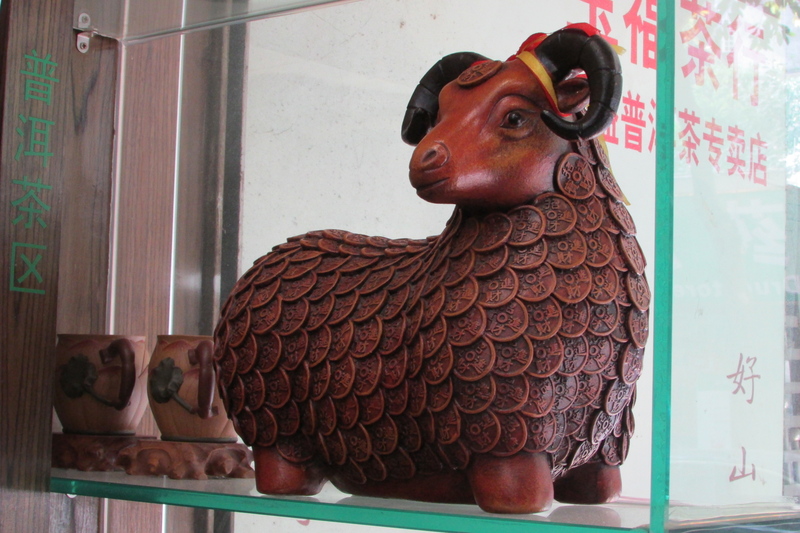 Don’t worry if you misplace the Chinese passport. You can still get your child a visa to go back to China, but it may take longer and you might have to provide more documentation. DO NOT, under any circumstances, leave the US on the child’s Chinese passport once they have entered through US immigration. Your child will not be allowed back into the US without a lot of hoop jumping and questions. If anything involving the police or hospitals or other officials were to happen during your travel abroad, the situation for your child would be handled according to the treaties and laws applying to Chinese citizens. The US embassy would not be contacted, and would not be able to intervene on your child’s behalf, even if they were contacted. If you know that you will be traveling abroad, it is imperative that you obtain a US passport for your child. This entry was posted in Uncategorized and tagged Adoption Resources, Post adoption info on April 26, 2017 by minefam. You might think that once you’re home, the paperwork is over. Sadly, that is not the case although it will not reach dossier levels of paperwork. 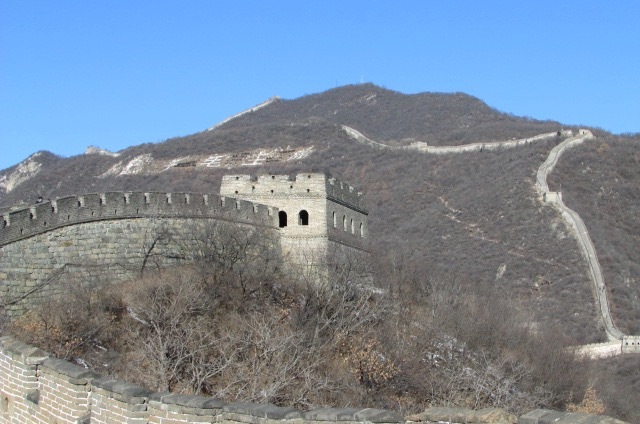 Besides obtaining vital documents for your child such as a Social Security card, US passport, and state issued birth certificate, you also have an obligation to send post placement reports to China at required times for the next few years. 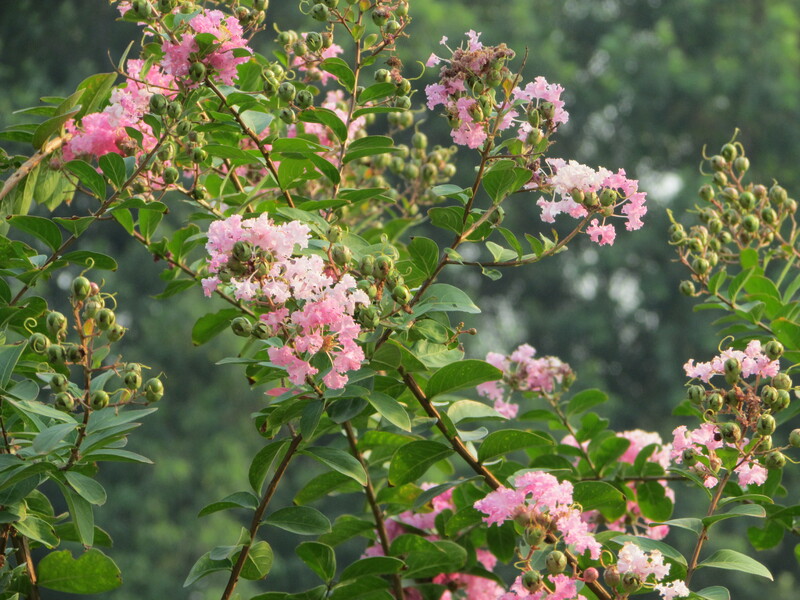 MLJ Adoptions has a good post giving a general explanation of post placement reports, but this post will address reports for China specifically. It is important to complete the post placement reports for a few different reasons. Firstly, you agreed to do so when you adopted from China. Secondly, it reflects on your agency and on other adoptive parents. You might have seen agencies advertise that they are ranked #1 or #2 by China. One of the criteria China uses to rank agencies the percentage of the agency’s families which submit post placement reports. 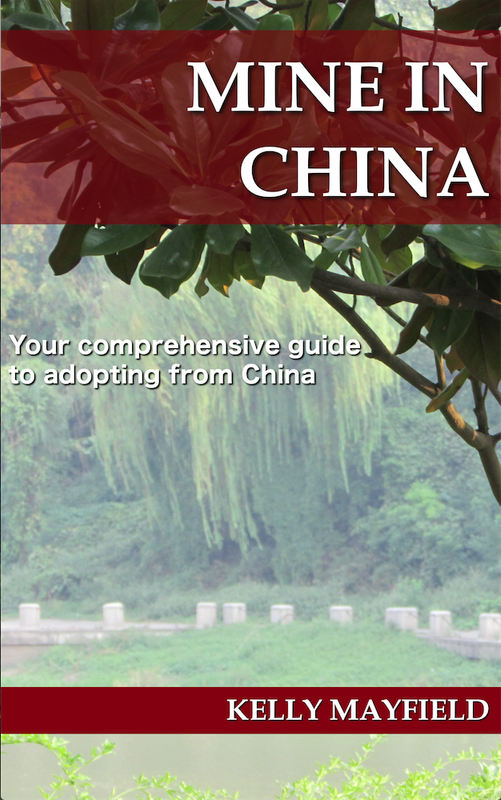 Finally, China will not approve you to adopt again if you are missing any post placement reports. If a large number of families do not submit reports, it could even affect the future of the China program. The State Department found that not submitting post placement reports was a factor in the programs of Kazakhstan and Guatemala, both of which are closed to Americans. Many feel that the changes China made in the post placement report schedule two years ago were a direct result of the Reuters “re-homing” investigation. China wants to know that the children they place with American families are being well cared for. Because agencies want families to submit the post placement reports, many now require that families pay the costs upfront. Requiring a deposit which will be returned after all of the reports have been submitted is also common. Some still have the option of paying as you go, although this makes it tempting to skip in order to save money. Often a homestudy agency will charge $300-$500. You might have to pay mileage for the social worker, too. If your homestudy agency has closed or you have moved, you still have the responsibility to find a new agency to conduct and write up the post placement visit. If your placing agency has shut down, you should find a new placing agency to submit the report for you. Although the 1 month report is no longer required by China, many agencies require it so they can check in on families sooner to find problems early. Report times marked by an asterisk are ones which the parents may self-report, so no meeting with a social worker is required. If you have adopted both before and after January 1, 2015, you will be using both schedules so you have to keep track of which child is on which schedule. Post placement reports typically include an update on the child’s health and development, current photos, and if the child is over the age of ten, an essay written by the child. It is best to contact your placing agency directly for their requirements. They should be able to provide you with a template. I hope this post has cleared up any confusion. Post placement reports are an important part of the adoption process even though your child is home. This entry was posted in Uncategorized and tagged Adoption Resources, Post adoption info on April 20, 2017 by minefam. Many parents who bring home children needing non-urgent surgery struggle with knowing the best timing for surgery. Should they do it as soon as possible to promote bonding or will it hurt bonding? Maybe waiting until the child is settled in and have a better understanding of what will be happening is better. Making the right decision will depend on a lot of variables–the age of your child, their language acquisition, how big of a surgery it will be, and if the surgery will involve traveling out of state, that adds yet another consideration. Both of our sons needed a surgery related to their special need, but neither was needed immediately. Our experiences were very different, so I thought I would share them so you can see how the optimal timing isn’t set in stone. We brought our son Leo home right before his second birthday. (Oh my goodness, he is so tiny and chubby in the picture I dug up!) He had an unrepaired cleft palate. We visited a craniofacial specialist soon after returning home. The doctor was happy to leave the timing of surgery in our hands. We decided that as soon as possible would be best. Our first consideration was to promote his speech development. Leo had come to us almost nonverbal. He could only make about four sounds. While he could eat okay, the open palate does cause meals to be messy. Leo was from an area that spoke a dialect rather than Mandarin, so translation services wouldn’t be a help to us, however we felt that a two year old wouldn’t really be able to understand what was happening even if we could communicate it to him. We hoped that the surgery would promote bonding. Leo was scared but he was very comforted by us. He knew that we would not leave him. While speech continues to be a struggle three and a half years later, we were able to start speech therapy with him almost immediately. We felt we had made the right decision. When we brought August home, we fully intended to repeat the experience. August turned three while we were in China. He was very verbal. Although we only know a handful of Chinese words or phrases, we could pick up some of what he was saying in China. August’s first orthopedics appointment was within two weeks of arriving home. However, we did not move towards surgery as quickly as we thought we would. We eventually discovered that our local hospital was trying to fill a vacancy. They were stalling us until the new doctor arrived. We sought out other opinions while we were waiting for him to arrive. One doctor informed me that he required children be home for a full year before surgery because he felt it was detrimental. In the end, August was home for nine months before he had his surgery. Almost four is much older than barely two in developmental terms. I explained to August that we would be going to the hospital to have surgery on his leg to prepare him. 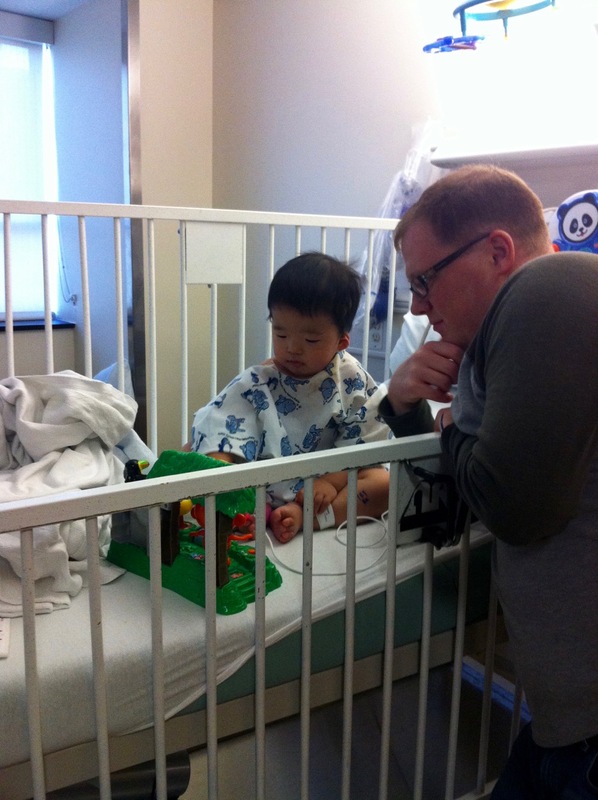 August had several surgeries in China, so he has a lot of medical trauma. We were able to be with him in recovery almost immediately. August wanted me to hold him in bed, so I climbed in and stayed there for almost all of the next 24 hours. Having August be so verbal was an enormous help. When he started crying, he could tell us “Leg hurt real bad.” When we checked to see how he was feeling after the pain medicine had enough time to take effect he replied “Feel better now.” He had some control over his environment by being able to tell us exactly what food he would like to eat and what movie he wanted to watch. 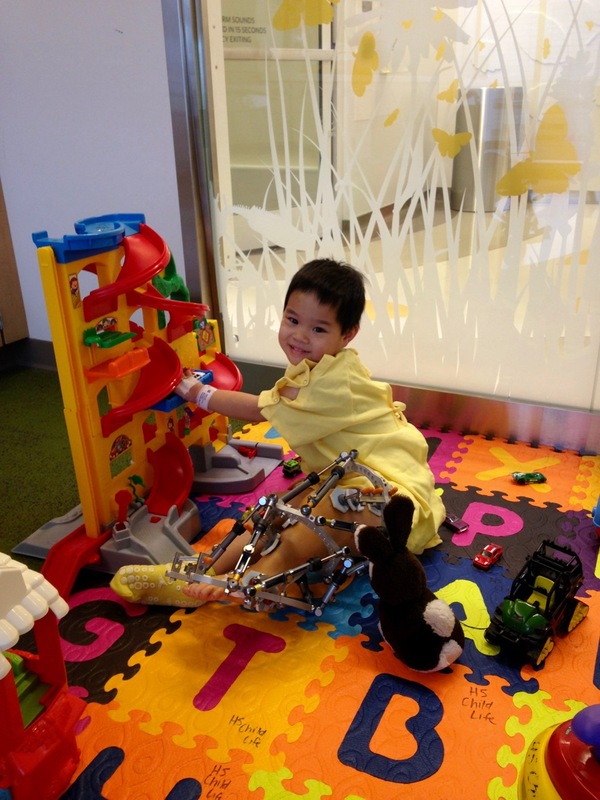 When the Child Life specialist asked him if he wanted to go play with some cars in the playroom, he gave an enthusiastic yes. Because August had been with us for so long, I can’t say that we saw a different in bonding per se. However, seeing that we were with him in the hospital every minute was a very healing experience for his medical anxiety. Many of his anxious behaviors were greatly reduced. He had been a confirmed thumb sucker since we got him, but within a few days of surgery he was down to only sucking his thumb while sleeping. I’m very glad now that we weren’t able to do the surgery immediately. While one surgery was soon and the other after a long acclimation period, they were both perfect timing. When you are making that decision for your own family, remember that there is not a perfect time for surgery that is universal. Make the decision that is best for your individual child. This entry was posted in Uncategorized and tagged Adoption Resources, Post adoption info on March 9, 2017 by minefam. One topic which comes up periodically is whether or not a parent should consider legally changing their child’s age once home. Many people are not aware that this is an option. While children are more likely to be older than the age listed in the file if their birthdate is not accurate, parents usually choose to change a birthdate to make a child younger than the age listed in the file. The reason for this is that children from institutions, and even foster care, are typically immature for their age. If you have a 14 year old who acts like a 10 year old, you will not want to change her birthdate to 16 and give her the ability to drive! What does changing your child’s age involve? If you decide to change your child’s age legally, you will need to begin with your pediatrician. A bone age scan will be done, typically a wrist X-ray. Keep in mind that the bone age scan has a wide margin, so it will not give you an accurate age. Particularly if your child has experienced malnutrition, the bones will reflect a younger age than the child’s chronological age. The point of the bone age scan is to give you proof that there is question of the accuracy of your child’s age. A visit to the dentist is also common for more information to access age. With the evidence in hand, you can now petition the court to have the child’s birthdate changed legally. Usually this involves appearing before a judge. The process can vary by state, so you will need to find out what is required where you live. If you are in a state where re-adoption is done, changing the birthdate can often be done at the same time so that the state issued birth certificate reflects the new age. Be aware that after your child’s age is legally changed through the state, the Certificate of Citizenship will now be incorrect. You will need to file paperwork and pay a fee to have a new one issued. Why would you want to make your child younger? There can be advantages to changing your child’s birthdate to give them a younger age. Children from institutional care are usually behind developmentally. Malnutrition or health conditions could make them correspondingly small in stature for their age. Changing to a younger age will help a child not be as far behind their peers or to have extra time to catch up. If you adopt a child who is 5 on paper but 2 developmentally, changing to a legal age of two will not only mean he doesn’t have to start kindergarten right away but will also allow him to qualify for additional services under Early Intervention. At the same time, a negative to making your child a younger age could be that that he or she is now normally developing compared to the peers of their new age, so no longer qualifies for needed services. Jen brought home her daughter at age 6. While her daughter’s listed special need was a minor one, she came from an orphanage where care was poor and malnutrition was common. A bone age scan found her age to be 3 years younger than her chronological age due to malnutrition. Jen and her husband seriously considered changing her daughter’s age. They consulted with several medical professionals and therapists as they considered this option. However, if they lowered her age, she would no longer qualify for services she needed at her new age because she would then be typically developing. There was also no guarantee that she would qualify for a special needs preschool program at a lower age. They decided to leave her age as it is for now. In their state, there is no statute of limitations on filing for a change of age. If she is still behind in a year, they can change her age at that time to give her another year in kindergarten. Do you feel your child’s physical and developmental delays are likely to be long term? Have you given your child some time to catch up and give you a good idea of their rate of development? Would your child qualify for additional services to help their development at the younger age? What are the benefits to changing your child’s age right now versus waiting? If your child is older, how do they feel about the age change? It can be difficult for a school aged child to move back a grade or more and lose their peers. You will need to find ways to make sure the child does not feel that he or she is failing in some way. How would the puberty impact your child’s new age? Some adult adoptees feel that they are stripped of almost everything through international adoption. While most children adopted from China will come with an assigned birthdate rather than their true date of birth, carefully consider whether your child might one day feel that even their birthdate was taken from them. Be certain that your reasons for wanting to change the birthdate are serious and will be overwhelmingly beneficial to your child. This entry was posted in Uncategorized and tagged Adoption Resources, Post adoption info on July 31, 2016 by minefam.